Home › Health Information › Access to scientific information via Hinari: Enabling research in Bangladesh? Scientific publishers often charge extremely prohibitive fees for access to scientific research. A handful of publishers monopolise access to the bulk of the world’s scientific information through paywalls and subscriptions. Subscription costs have reached such great levels that even wealthy institutions like Harvard University have asked their faculty to resign from publications that hide their articles behind paywalls. There is an increasing push towards open-access scientific publishing, as evidenced by the proliferation of prominent open-source journals, such as eLife and the Public Library of Science (PLOS). These open source platforms maintain the academic rigour of peer-reviewed science, while making the published information completely free to access. These efforts have been supported by some of the most prominent scientists and academics in the Western world. Helping resource-poor countries access scientific journals at an affordable cost is ultimately a moral imperative. In this spirit, the World Health Organisation (WHO) developed the Health InterNetwork Access to Research Initiative (HINARI), a public-private partnership to make scientific journal access more affordable to countries in the Global South. Participation of publishers in Hinari is entirely voluntary. Hinari was launched in 2002, with an initial group of 69 countries and 1500 journals. As of June 2015, Hinari allows researchers in over 100 resource-poor countries to access 14,000 journals in 30 different languages, 46,000 e-books and 100 other information sources in more than 5700 registered institutions. Hinari has had a transformative effect on the practice of science in resource-poor settings, allowing institutions to replace expensive print subscriptions with fast, cheap online access. This has greatly increased the number of people who can access the world’s scientific information and significantly expanded the capacity for medical research across the Global South. Hinari was launched in Bangladesh in April 2003. 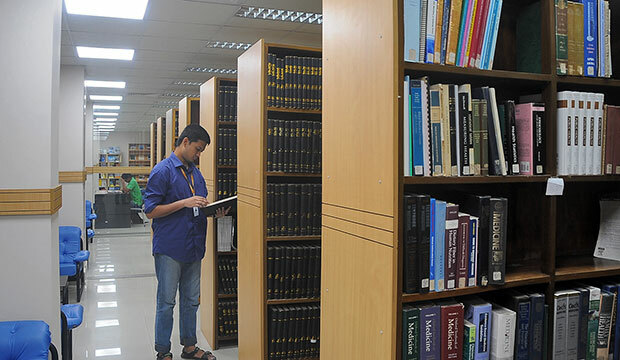 A recent icddr,b study in the Journal of Information & Knowledge Management authored by icddr,b library team members has evaluated its impact on research activities in the country, with a particular focus on its effect on the icddr,b. The study finds that the impact of Hinari is clearly beneficial for research activities throughout the country by a number of metrics. The output of research publications has steadily increased since the introduction of Hinari. Prior to the introduction of Hinari in 2003, icddr,b published about a 100 articles a year from 1994 to 2003. After the introduction of Hinari the institution has seen a steady increase in publication output – publishing more than 200 articles per year from 2009 to 2013. The same trend is seen when looking at scientific publication output nationwide – there is a clear upward trend that begins after 2003, demonstrating the significant impact this resource has had on research activities throughout the country (see the figure taken from the study below). Hinari has been very well-received by scientific researchers at icddr,b. 60% of scientists questioned in a survey rated Hinari as an “excellent” way to access scientific publications. Hinari is also enabling vital research activities – the study finds that scientists are using it for a range of purposes, including grant proposal writing, gaining knowledge of new scientific research, publishing their own work and downloading full-text articles for teaching/research activities. Hinari has also provided significant economic benefit to Bangladesh. Printed journals are so expensive that they were being diverted from libraries and being resold for private profit. In a country as poor as Bangladesh, it is easy to understand why people are engaging in these behaviour. Thanks to Hinari, many libraries in Bangladesh now have affordable electronic access to scientific journals. This has reduced cost for many institutions across the country (often leading to zero cost for some countries) and allowed researchers to conduct path-breaking scientific research in an efficient and cost-effective manner. Clearly, Hinari has enormous benefits for a country like Bangladesh. When major six publishers removed themselves as partners from Hinari, this decision was met with shock and dismay by the local research community. Access to knowledge is a human right, and it is disappointing that so many companies continue to feel that they can profit from restricting knowledge access in the world’s poorest countries. Thankfully, the vision and generosity displayed by the WHO in establishing the Hinari programme has helped many resource-poor countries to overcome these limitations and achieve their full human potential. As the world moves towards an increasingly open-access model of scientific publication, there may come a day when programmes like Hinari are no longer necessary. But until that day, programmes like Hinari are absolutely vital to enabling crucial, life-saving medical research activities across the Global South. 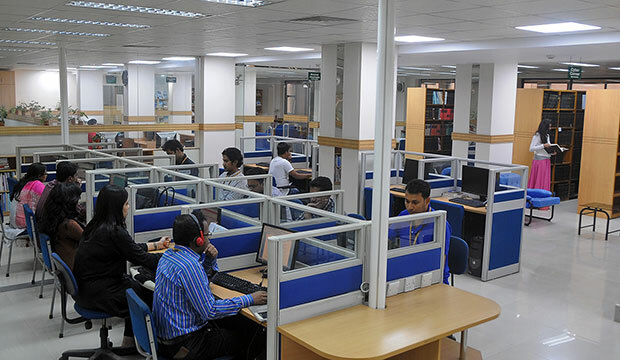 Dr M. Nazim Uddin is the Head and Senior Manager of the Library and Information Services Section (LISS) at icddr,b.